Today is Blue Monday, but McDonalds doesn’t want it to be the most miserable day of the year and is trying to cheer us up with a completely free cheeseburger to anyone that wants one. It’s so easy to claim yours – all you’ll need to do is download their app (available on both Google Play and the App store) and take a trip to your nearest McDonald’s. 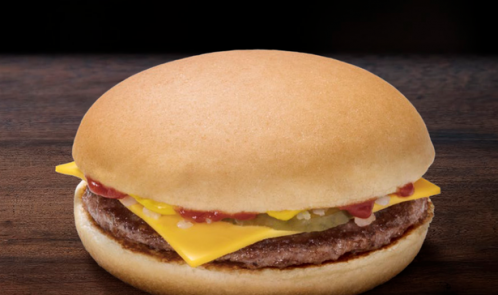 A classic choice whether you’re getting it as a snack or with chips for a full meal, the burger contains one 100% beef patty alongside cheese, onions, pickles, mustard and a dollop of tomato ketchup, all wrapped together in a soft bun. The offer is open for a full five days to give the public a chance to have a bite on McDonald’s. You’ll be able to see the offer from 10.30am on Monday (21st January) and be able to claim your freebie any time from then in McDonald’s branches across the UK. Only one cheeseburger is allowed per customer, redeemable only via orders placed on the My McDonald’s App and offer open from 21 – 25 January.